Calling all soon-to-be newlyweds! We have great news to share with you adoring lovebirds who are at the stage of planning your dream wedding! With busy working schedules, planning a wedding never comes easy. It involves a lot of time and patience in sourcing for vendors when there are plentiful in the industry nowadays. In fact, you probably do not know where to begin or how to narrow down your choices. From photographers, wedding planners, makeup artists, gowns, rings, cakes to flowers etc., there are many to choose from. All you face are stressful moments when it comes down to finalizing every single detail halfway through the planning! Well, fret not as this is when Wedding Fair comes into play to provide solutions to your wedding needs. With that, our team here at Momento is honoured to have the opportunity to participate in an upcoming Wedding Fair. The Majestic Theatre and Touching Hearts Wedding Concepts are co-organizing this event with the help of WeddingsMalaysia. 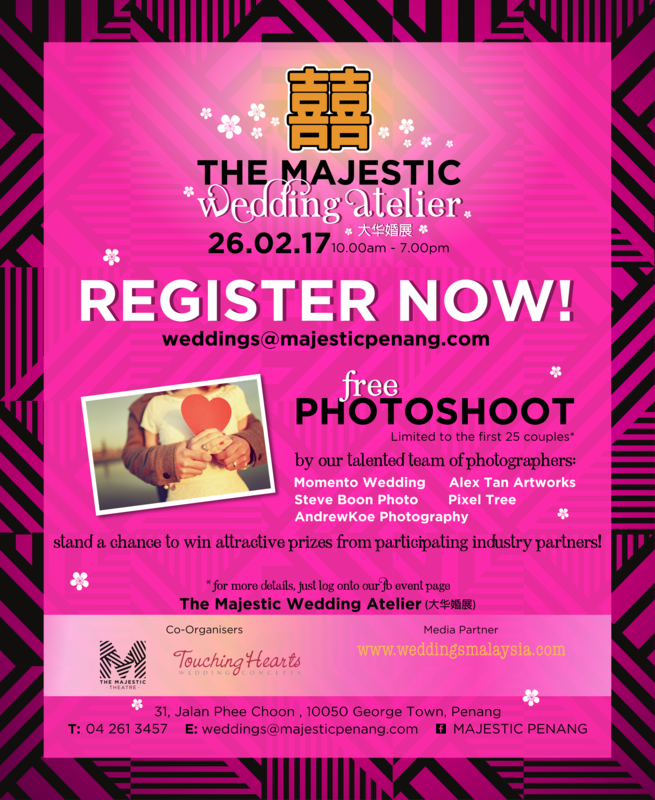 The Majestic Theatre provides a beautiful venue for the event whereby many reputable wedding vendors will be sharing their services to potential clients. 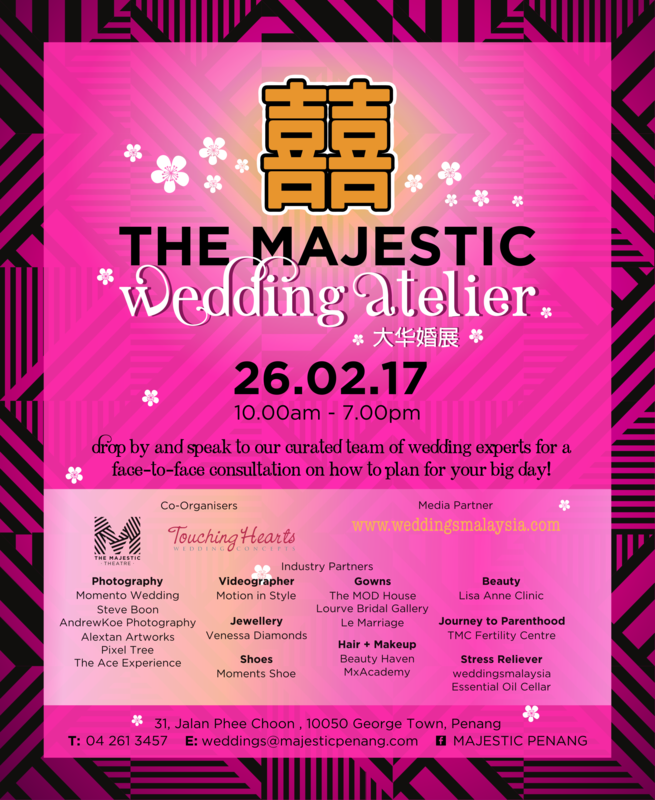 We have even greater news for the First 25 couples who sign up for this Wedding Fair. 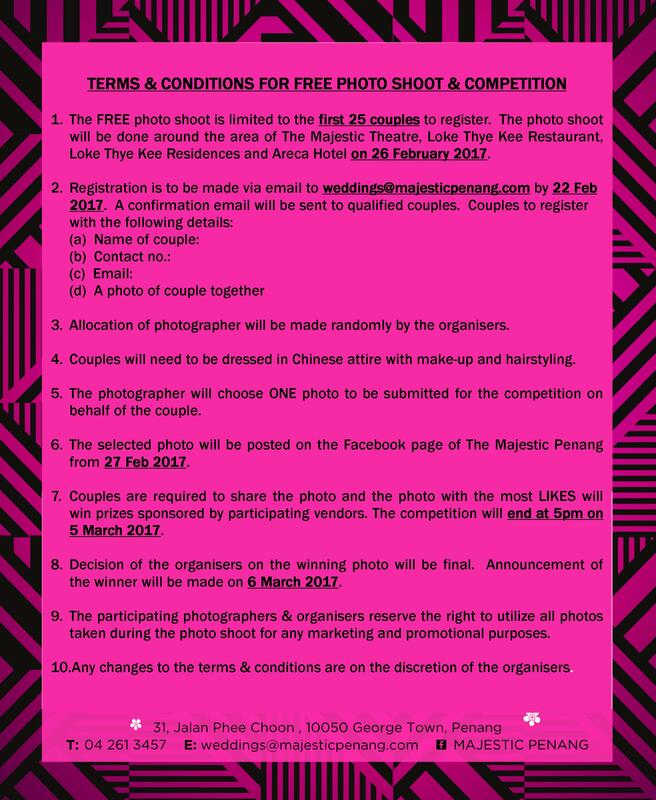 You stand a chance to win a FREE photo shoot with an oriental vintage theme at the fair itself! Not only that, we may be one of the photography teams that has the honour of capturing your wedding moments! So, hurry up and do not waste this golden oppoturnity. Sign up now! Kindly refer to our Facebook event for further details on how to register. Slots are limited, register now!